At the present time, HUNTERcourse.com is not an option for obtaining a Hunter Education Certificate in Louisiana. 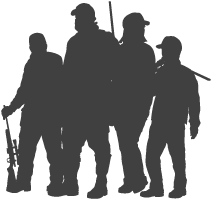 Mandatory hunter education is required for anyone born on or after September 1, 1969. Find out more.